Here is a charming pre-tied bow tie in a new line by Puccini that draws from classic elements with a contemporary touch to provide an innovative design. Feel this richly woven microtexture pattern yourself. 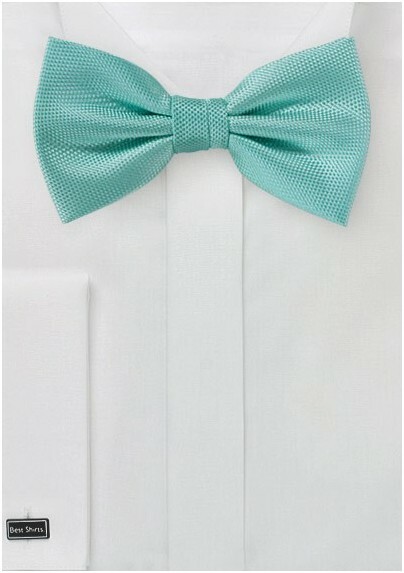 It is a subtle but modern weave that adds texture and volume to your solid color bow. The unique beach glass color draws from aquas and light teals. 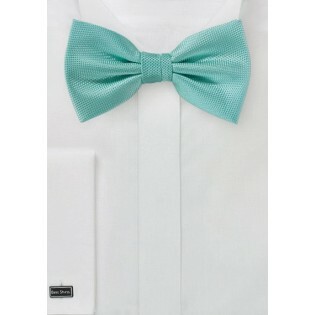 The solid design and classic texture work together to ensure a versatile look great for any business or formal attire.